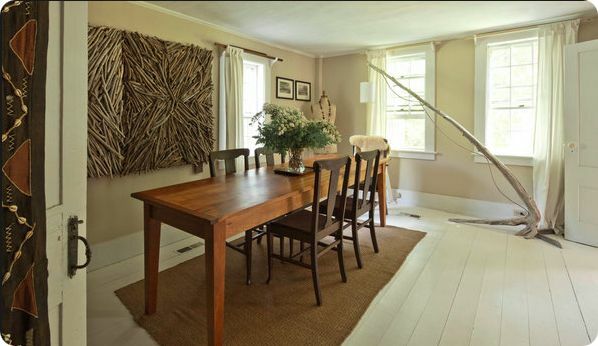 I am in love with this Maine house tour I spotted over at New York Times and especially enjoyed the homeowner's furniture and product design skills. How amazing is that driftwood floor lamp that he made? Love it! I love mixing textures and think wood in - all of it's forms - can have a place in elegant design. Plus small spaces really benefit from showcasing details. I was inspired to pull six items that feature driftwood style. 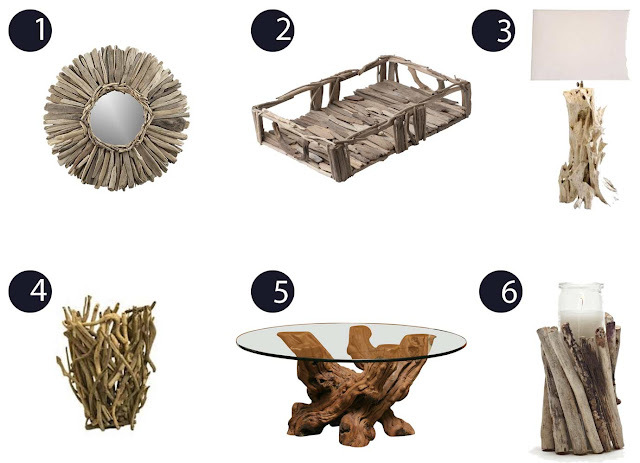 All of these products could work well in a small space, I especially love that driftwood tray. 1 Response to "6 driftwood items for your best small space"